Sleek and stylish, a conversation piece, ice breaker and nice addition to any room – this Globe Bar is functional and attractive. 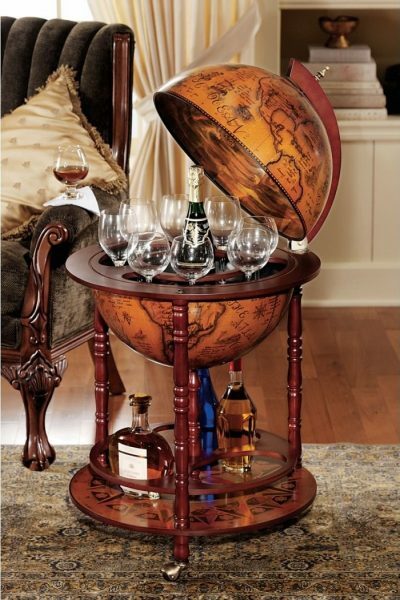 This globe bar liquor cabinet can several bottles of liquor and glasses as well. Storage inside and outside allows you to display your booze in a unique fashion, and gives your guests something to talk about. Completed with turned hardwood legs, this storage globe can easily accommodate 3 to 4 bottles inside and 10 bottles on the below storage shelf.